We've said for years that DFW Airport is the best in the world. Now it's official! 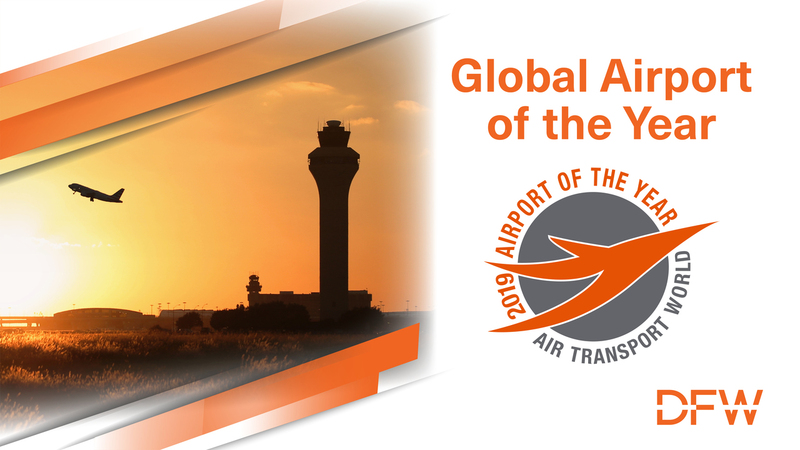 DFW Airport has been recognized as the 2019 Airport of the Year by Air Transport World, the leading media brand serving the global airline and commercial air transport industry. DFW joins an exclusive list of global gateway airports that have recently been honored as ATW’s Airport of the Year, including Hong Kong International Airport, London Heathrow and Singapore-Changi Airport. "It’s exciting to see DFW be recognized for the world-class customer experience, the excellent partnership with airlines and, of course, the collaboration with community organizations like the North Texas Commission," said Scott Orr, NTC Chairman and Vice President, Public Affairs at Fidelity Investments. 2018 was a milestone year for DFW. The Airport announced 28 new destinations - offering more domestic destinations than any other U.S. Airport. It announced nine new international flights, doubling its European destinations and frequencies in three years. The Airport completed a $2 billion renovation and renewal of three legacy terminals, and achieved carbon neutral accreditation for the third straight year - added to the fact that DFW is the largest carbon-neutral airport in the world. And finally, the Airport is a leader in innovation in their Terminals with electrochromic glass technology, the new and improved “Experience Hub” and a biometric technology pilot program. Once again, congratulations to Sean Donohue, the DFW Airport Board, and our Executive Committee member Linda Valdez Thompson - along with the entire DFW team. We raise our glass and salute you! Click here to read the announcement from DFW Airport.